The Tourist Development Tax (TDT) is also called a“bed tax,” but why is that, and what does it mean? Simply put, the bed tax is collected from hotels, condos and other types of short term rentals(six months or less). In South Walton, this tax is almost exclusively paid by tourists, and the money collected is used to fund things like beach maintenance, beach safety (lifeguards), beach and bay accesses and parks, marketing programs and code enforcement through the Walton County Tourist Development Council (TDC). Unless they’re taking a “staycation,” and renting short term accommodations locally, Walton County residents don’t pay any taxes to support these amenities or marketing activities. Lifeguard funding. 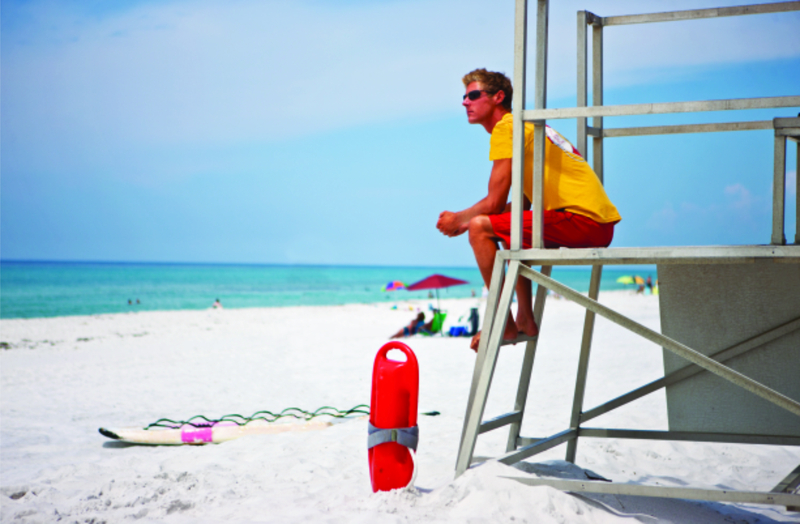 Walton County Commissioners recently awarded a new beach safety contract to the South Walton Fire District which allows, through bed tax dollars, beach safety lifeguards to patrol South Walton’s sugar-white sands year-round. Expanding beach accesses. Over the past few years the TDC has purchased multiple properties with the goal of adding more beachfront for locals and visitors to enjoy. There are currently three parcels slated to become regional beach access, one in Miramar Beach, one in Dune Allen Beach, and the other in Seagrove Beach. An additional parcel was purchased in Grayton Beach and is currently used for additional parking. Event grants. Part of what makes South Walton a great place to live and visit is the number of events throughout the year, and especially in the shoulder seasons. From food and wine-centric events, to live music and arts and culture, grants funded by bed tax collections help support festivals and events including the annual 30A Songwriters Festival, the Sandestin Wine Festival and the annual Seaside Half Marathon and 5K. In addition to the 4 cent bed tax already collected, there have been discussions about implementing a “high impact penny” on short term rentals. Revenue generated by this additional tourist development tax would be used for infrastructure projects to enhance the visitor experience. This would bring South Walton’s TDT collection rate in line with its neighbors to the east and west. Preliminary estimates show that an additional $6 million in revenues would be generated by adding an addition penny. The law allows funds to be used “to acquire, construct, extend, enlarge, operate, finance, improve, repair or maintain” public facilities, such as additional beach access, roads or public transportation. In order for the 5th cent to be implemented, a super majority (four out of five seats) vote of the Walton County Board of County Commissioners would be required to vote in the affirmative. No definitive decisions have been made as talks are still preliminary. For more information about the TDC, visit www.visitsouthwalton.com or call (850) 267-1216. Be the first to comment on "Bed Tax Funds Walton County TDC, Adds Beachfront"